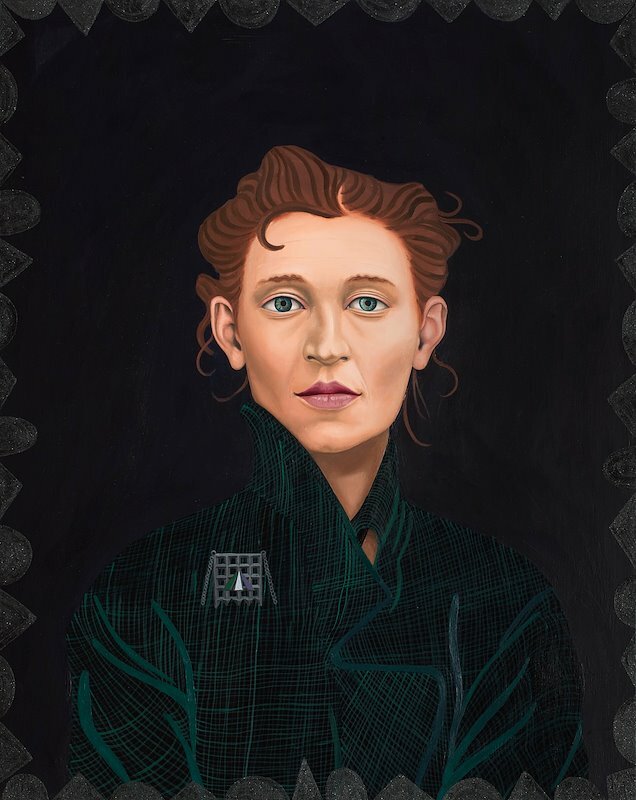 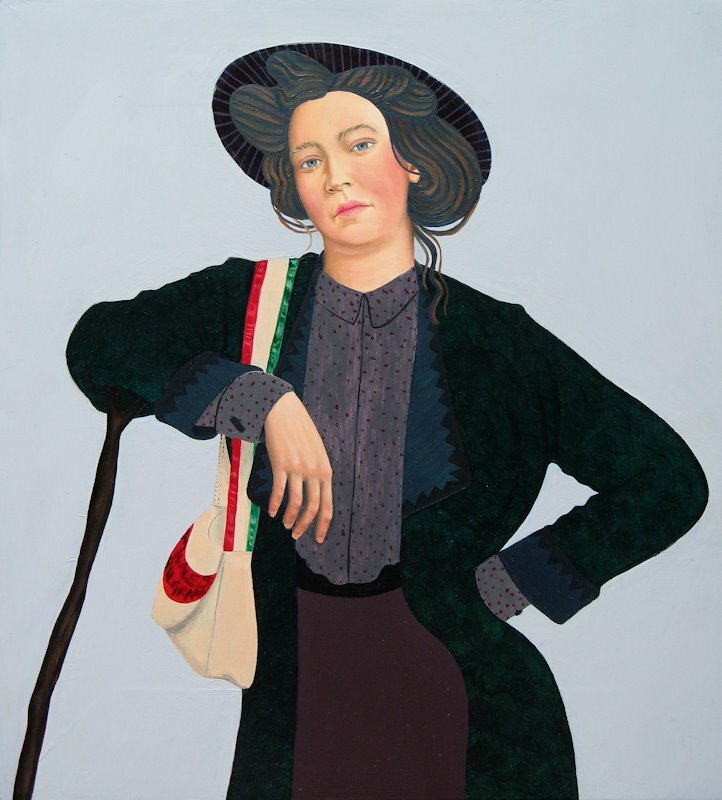 Portraits of Protesters is a collection of 13 new paintings documenting welsh suffragists at the beginning of the twentieth century. 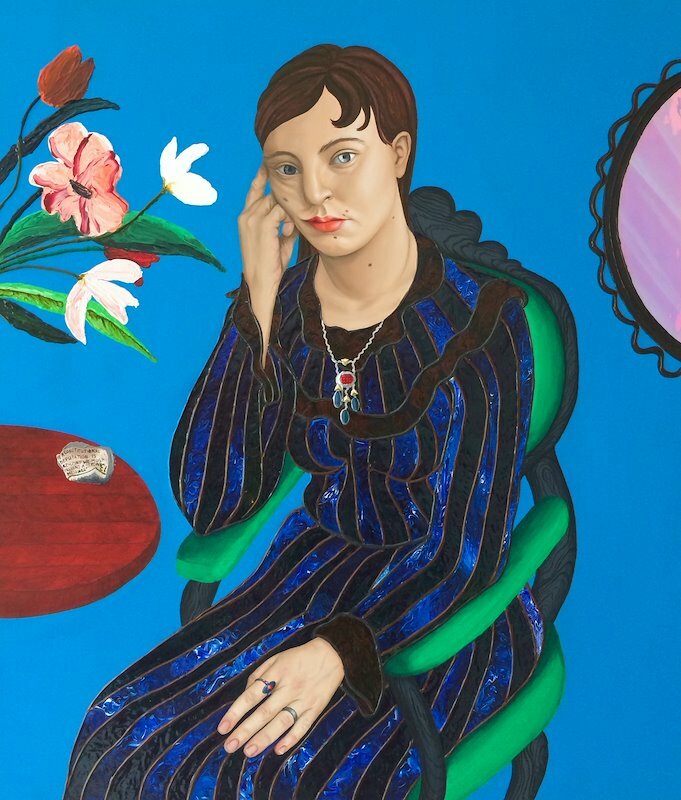 As with her 2013 debut solo exhibition, Llygaid Hanes/History’s Eyes, the paintings emerge initially from a place of research and out of a sense of duty for the subjects. 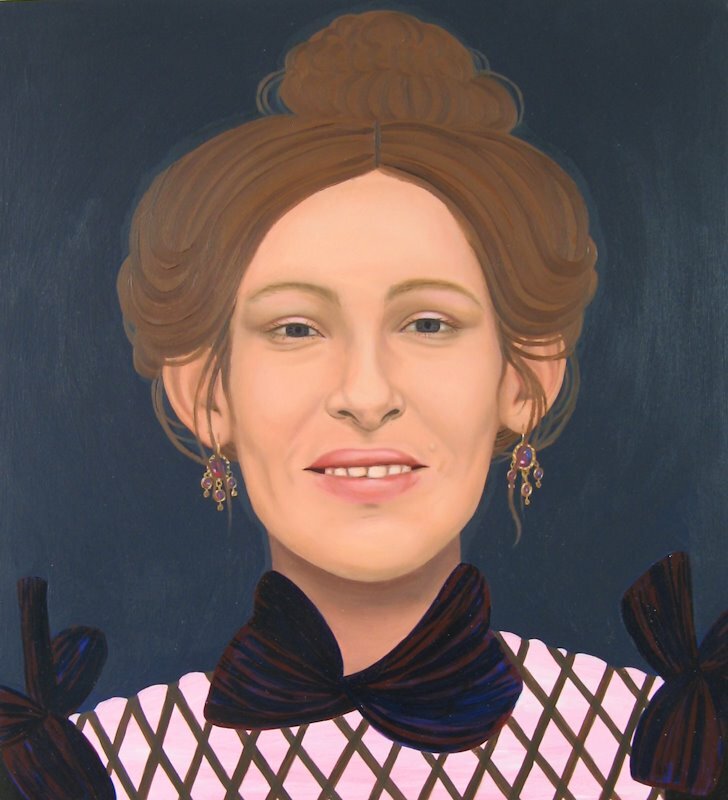 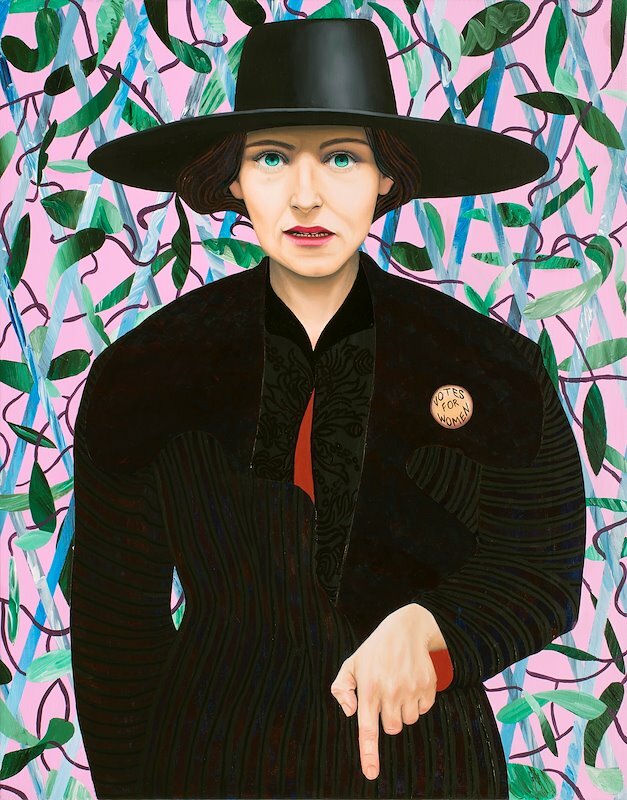 Jones seeks to expand the scope of traditional portraiture, constantly revisiting history and re-imagining a new, providing a deserved visual place for Welsh women. 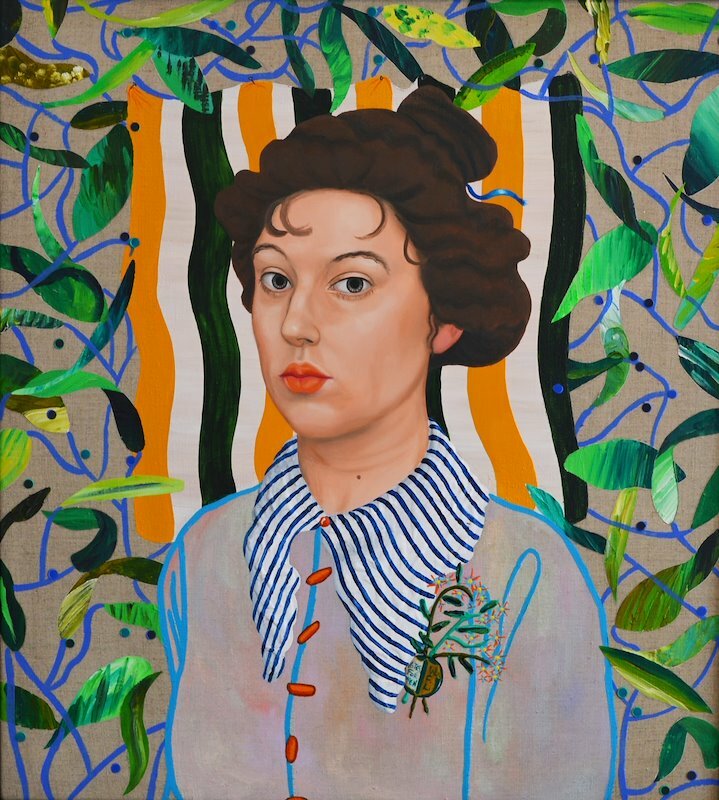 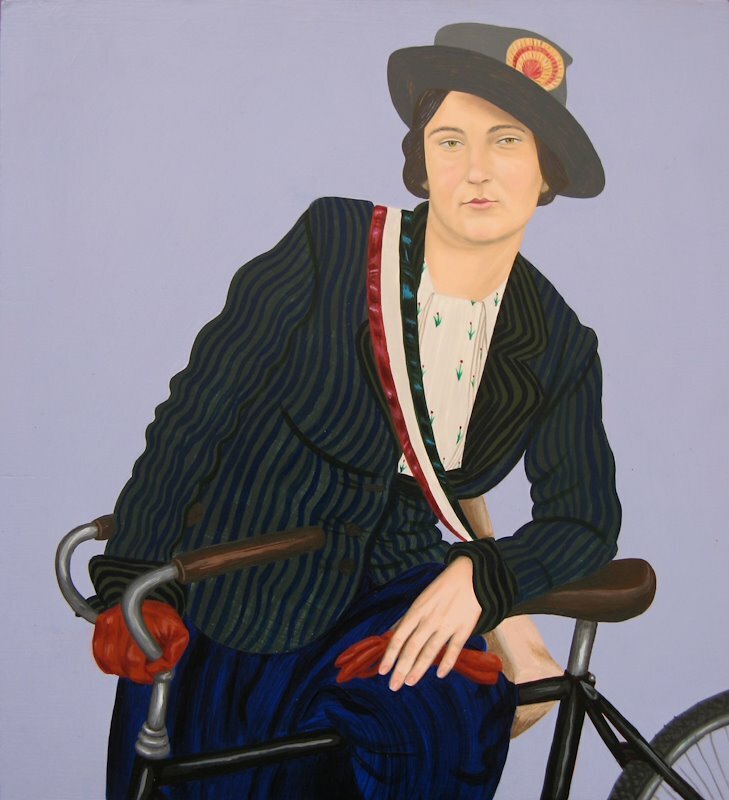 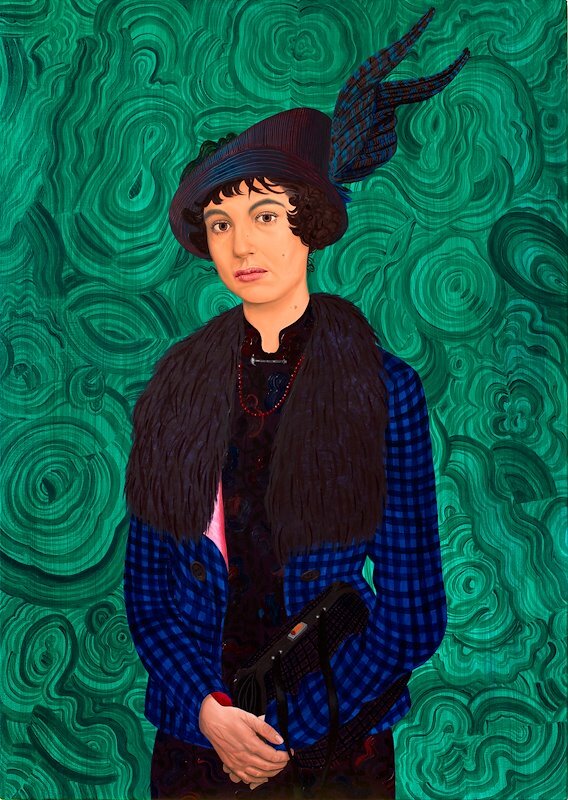 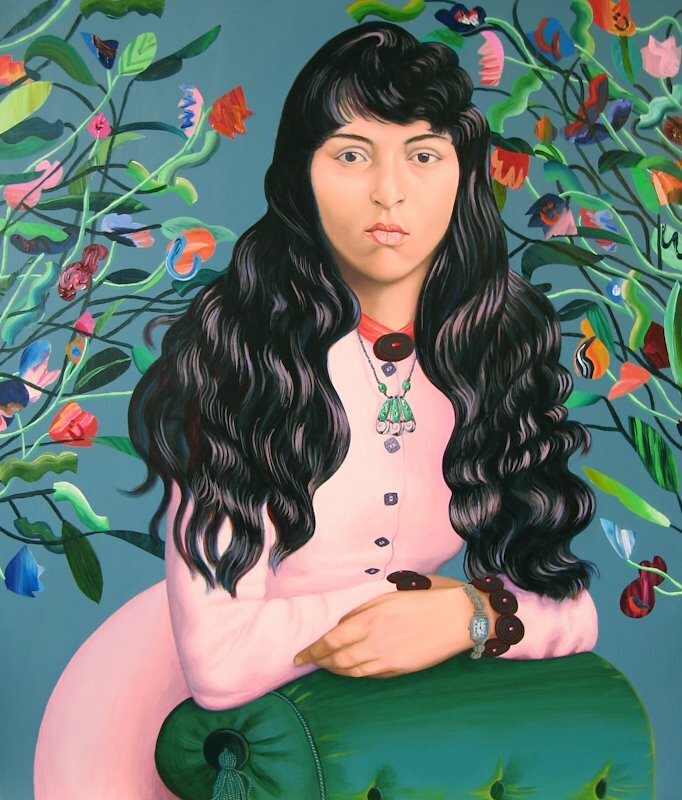 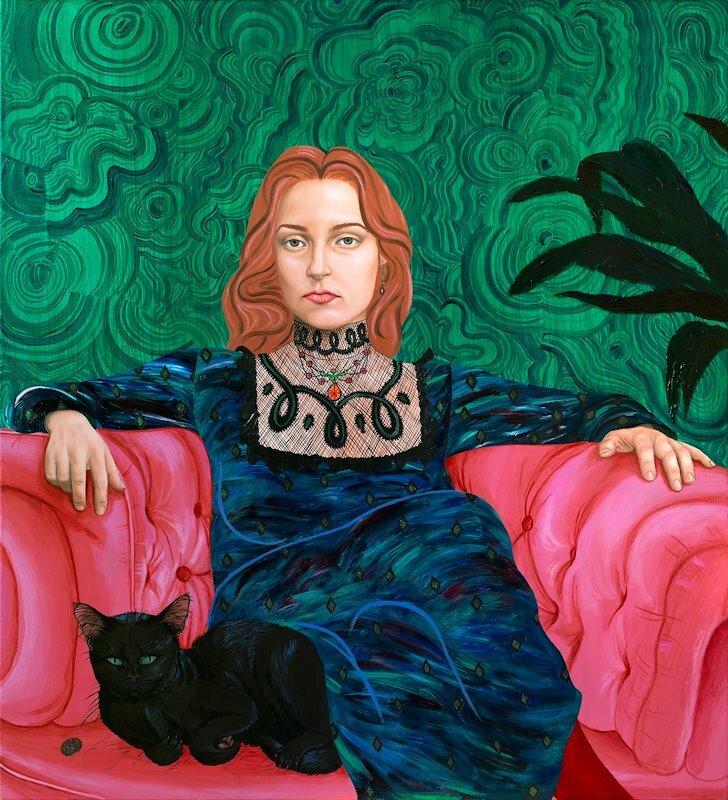 Although her subjects are imagined, each portrait is embedded in its time and loaded with historic references. 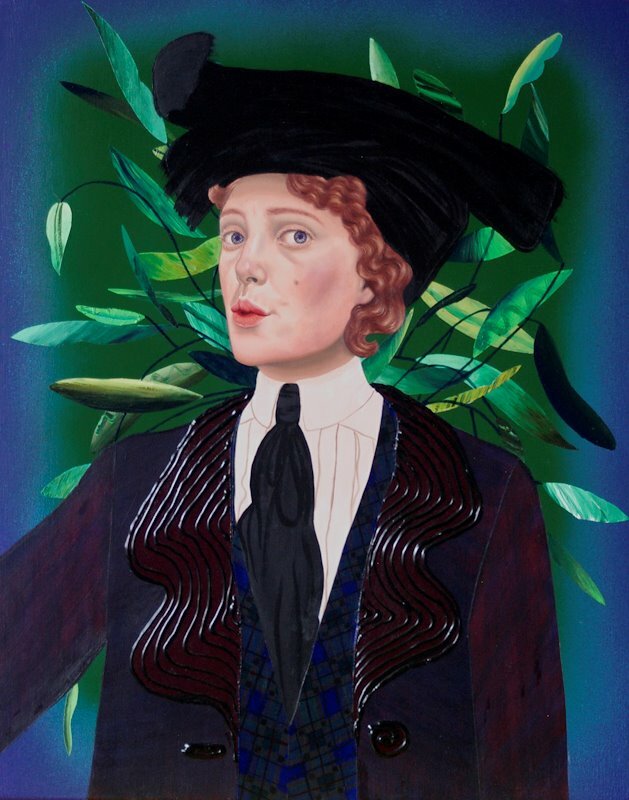 Continuing Jones' long-standing interest in female historic figures, the details in which her subjects are adorned are extensive: from the clothing worn and the typical suffragist colours, to the treasured brooches identifying different factions and acting as trophies of imprisonment. 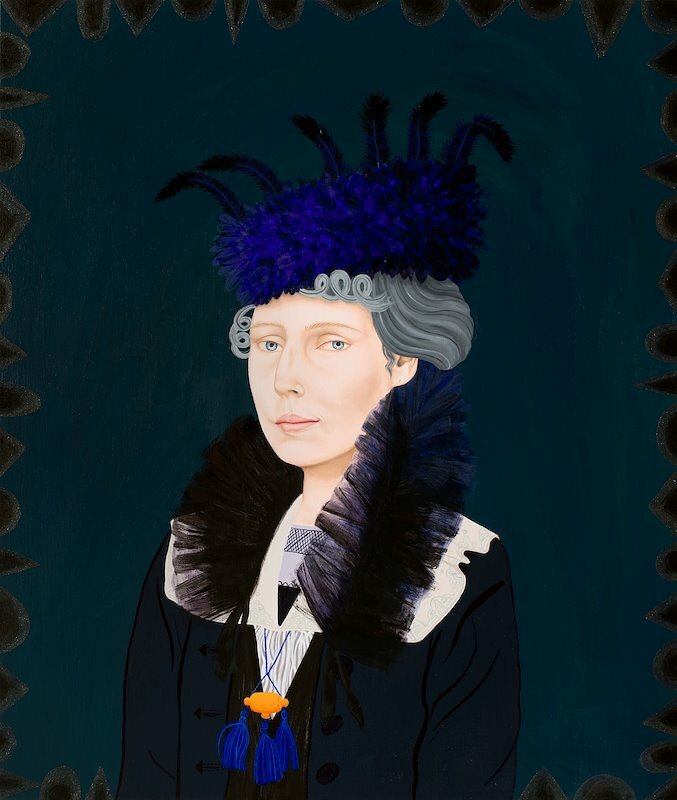 These small yet significant details are all evidence of thorough archival research. 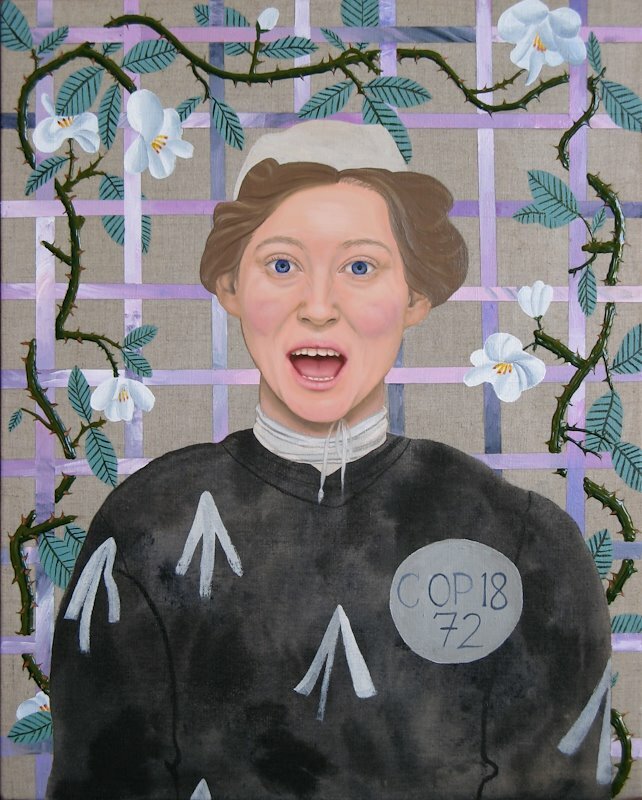 The titles of the paintings are the names of Welsh suffragists – names found on registers, petitions and pamphlets – grounding the exhibition in a sense of history by representing those actual living protesters who gained the important vote. 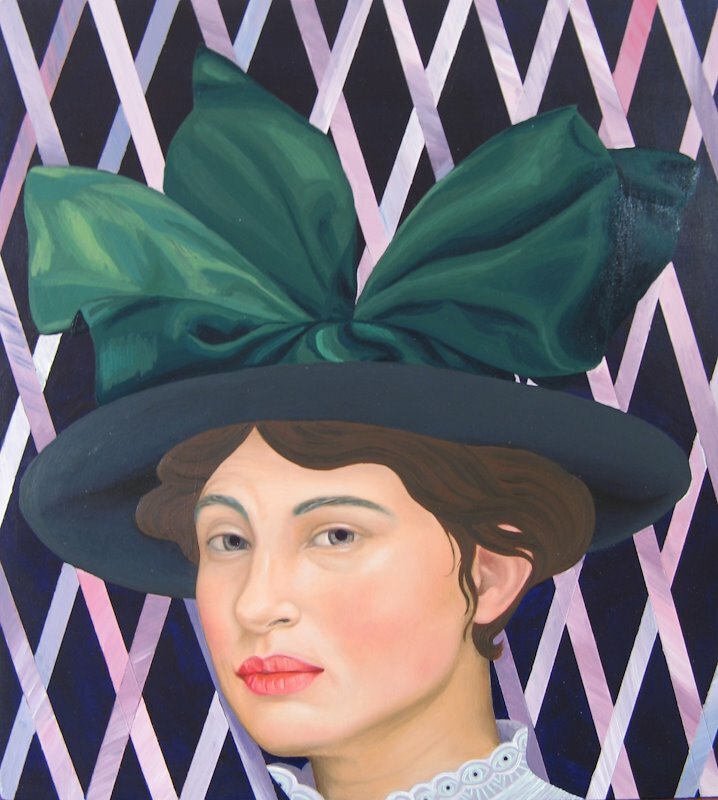 At the heart of this new body of work is a striking sense of responsibility to do justice to those women who fought to establish equality.